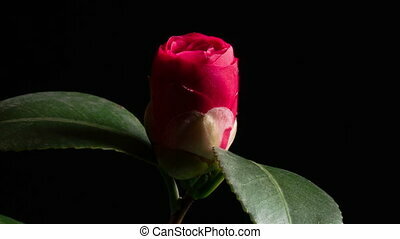 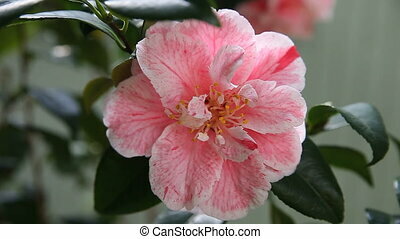 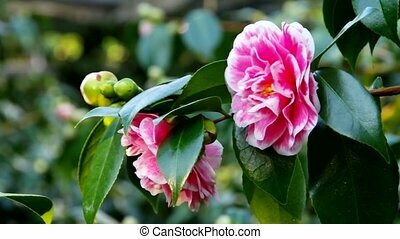 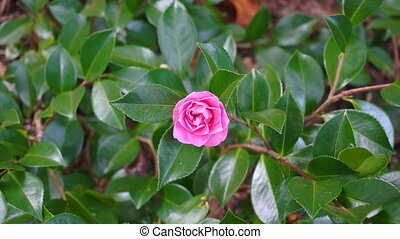 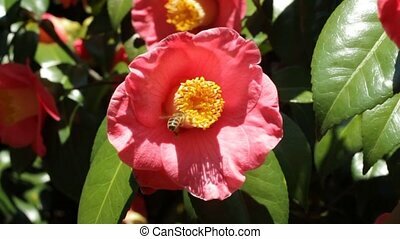 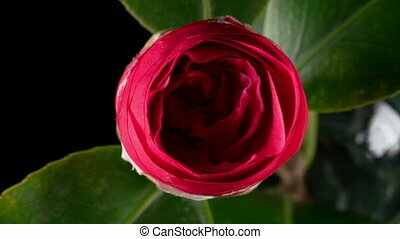 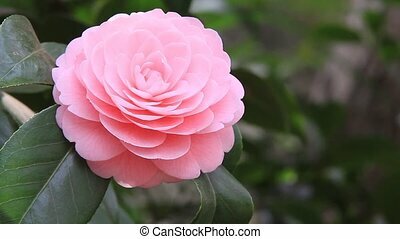 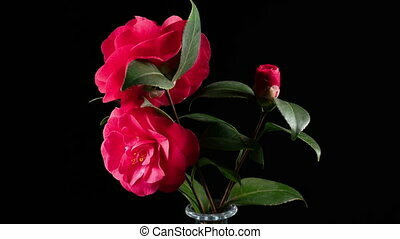 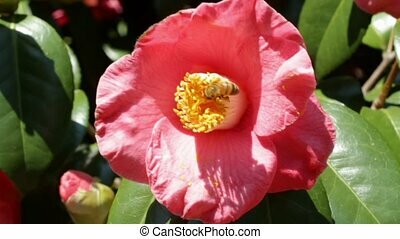 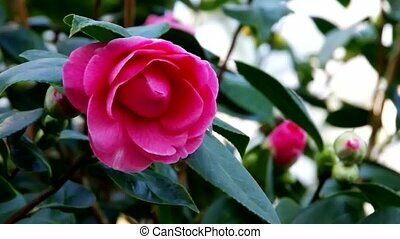 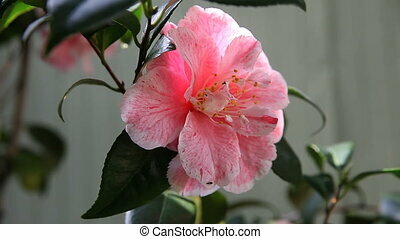 Camellia flower. 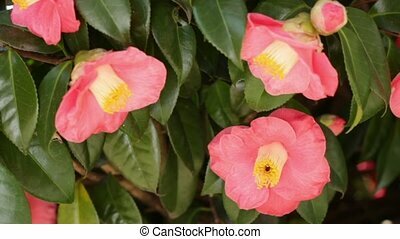 Camellia plant pink flower close-up. 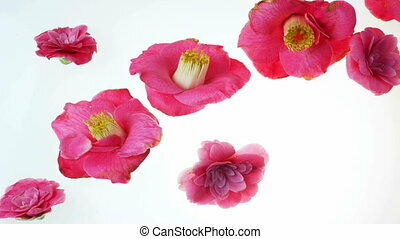 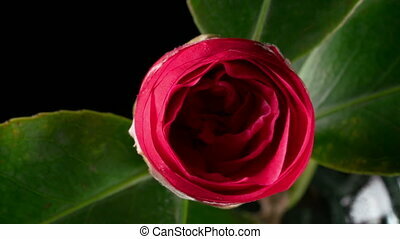 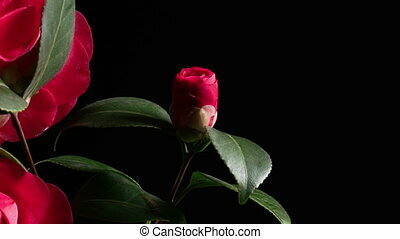 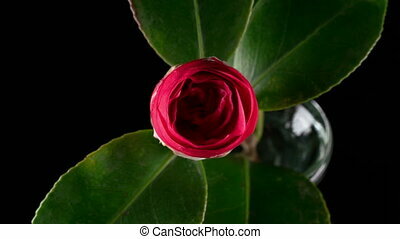 Japanese camellia flower blooming on black background, time lapse. 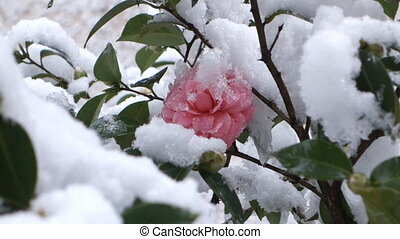 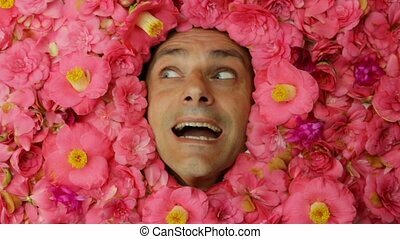 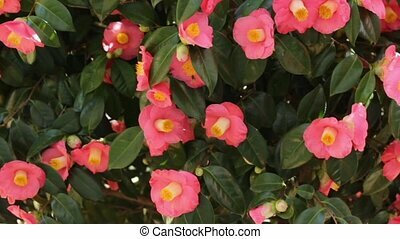 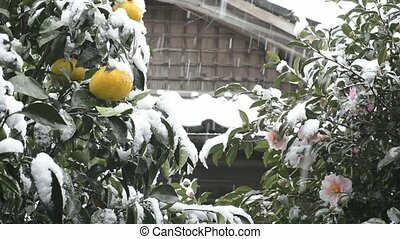 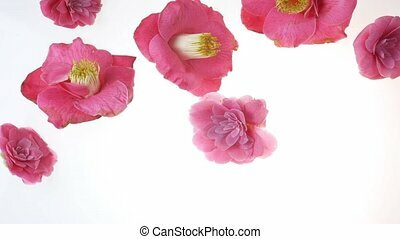 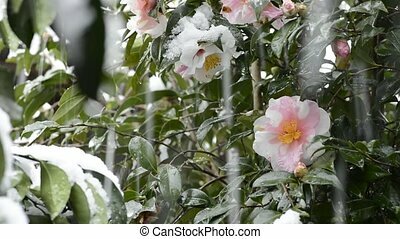 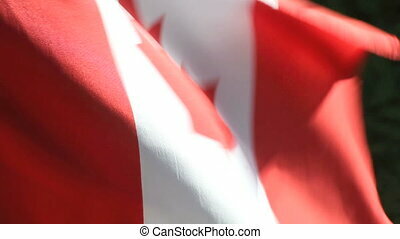 I took the state that a pink camellia shook for wind.